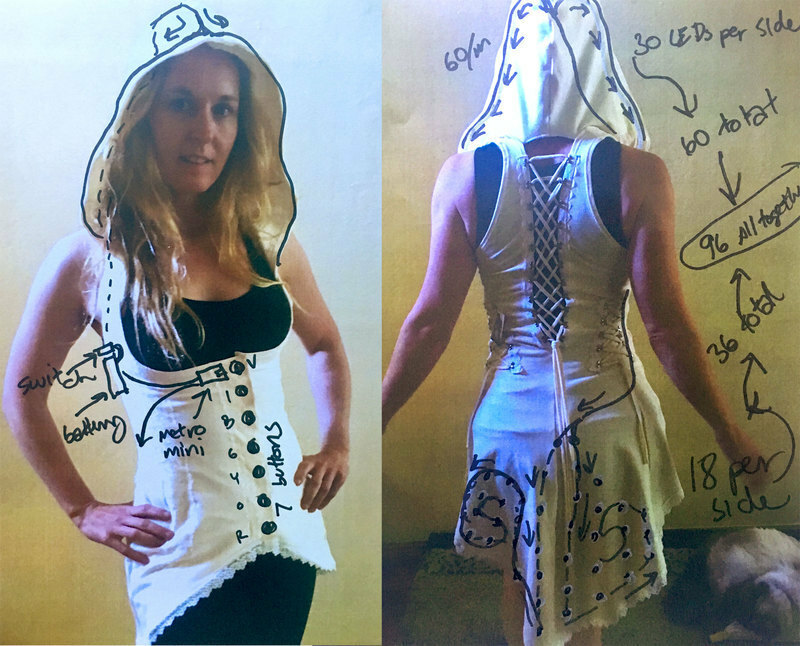 NEW GUIDE: Illuminate Your Spirit Power with a ‘Rainbow Chakra LED Hoodie’ « Adafruit Industries – Makers, hackers, artists, designers and engineers! Erin St Blaine’s newest guide in the Adafruit Learning System includes several hundred lines of provided code, along with tips & tricks for turning any hoodie into a fantastic glowing chakra LED hoodie – complete with 7 chakra 3D-printed buttons which when pressed change the display color of attached NeoPixels! Festivals and events can get chilly at night. What better way to warm up than with a glowing hoodie — especially one with interactive buttons that engage everyone you meet and offer conversations and connection, ooh’s and aah’s, and plenty of light to find your way home. This glowing hoodie is controlled by seven 3D printed buttons along the front, each corresonding to one of the seven chakras. 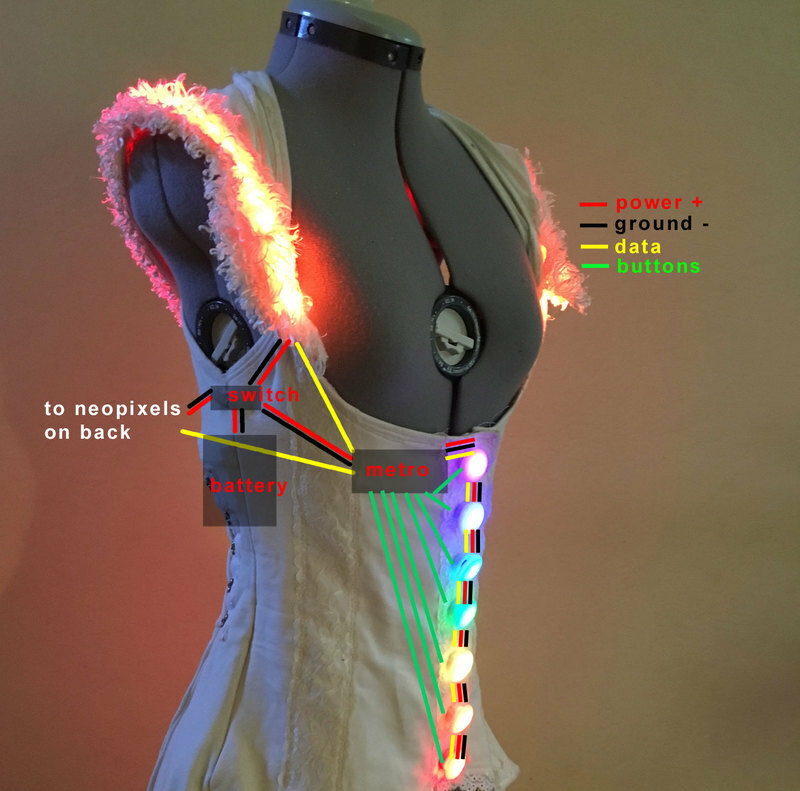 When a colored button is pressed, the Neopixel strip lining the hood and the individual neopixels on the tail animate in that chakra’s color. And click here to make your own.